General David Petraeus is adding H.R. McMaster (at left) to his Afghanistan team where he will be in charge of planning. He is a Brigadier General - one star - which puts him pretty far down the food chain in the military. 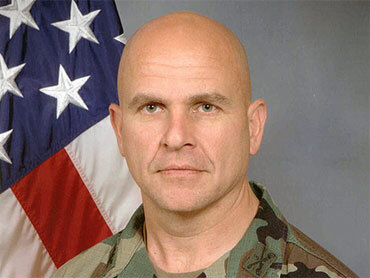 But McMaster has become something of an iconic figure - famous first for his book "Dereliction of Duty" which was a scathing critique of the performance of the Joint Chiefs of Staff during the Vietnam War, then for his success as a brigade commander in Iraq where he wrested control of Tal Afar from al Qaeda and established the model for the "clear, hold and build" strategy. Despite his success, McMaster was passed over for Brigadier General the first time he became eligible for promotion, and according to Army lore, the only reason he made it on the second try was that Petraeus sat on the promotion board. Petraeus, who at the time was commander in Iraq, came all the way back to Washington to sit on the board. It might strike most people as unusual for a combat commander to devote so much time and effort to an administrative procedure such as a promotion board, but the Army needed to promote officers with counter insurgency skills, so it brought back Petraeus, the man who wrote the book on counter insurgency, and out popped McMaster as a general. Now he will be working for Petraeus in Afghanistan. Under Petraeus' predecessor, General Stanley McChrystal (who by the way retires today), the military was trying to build up a cadre of Afghan hands - officers who would serve tours in Afghanistan then return to jobs in the states which were directly related to Afghanistan. H.R. McMaster is not an Afghan hand, but this will not be the first time he breaks the mold. David Martin is CBS News' National Security Correspondent. You can read more of his posts in Hotsheet here.